Against the backdrop of the Blackstairs Mountains stand the remains of this diminutive rectangular church which dates back to the tenth or eleventh century. It is testament to the building skills of these early stone masons that all four walls are still intact almost one thousand years after they were first built. 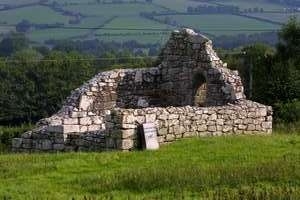 Known as the ‘white church’, it is associated with St. Fortiarnán (Fortchern) who was a disciple of St. Loman of Trim, one of the companions of St. Patrick. Fortiarnán left his native Meath and travelled down to the kingdom of Uí Dróna where he founded a monastic community at Killoughternane. 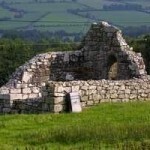 St. Fortiarnán’s monastery has been described as one of the earliest missionary schools in Ireland and among those who studied here was St. Finian. After Killoughternane, Finian went to St. David’s monastery in Wales before returning to found the famous monastery at Clonard, Co. Meath. Traces of a circular enclosure survive around the diminutive church which was built of local hammer-dressed granite. There are antae at both the east and west ends. 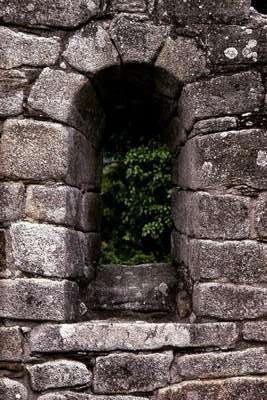 The church was entered through a lintelled doorway in the west wall and the interior was lit by a round arched window in the east wall above the altar. 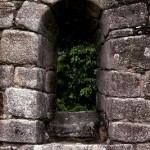 There may have been another window in the now ruined south wall. There is a small square baptismal font inside the structure. Don´t miss 8. St. Fortiarnán’s Holy Well in the field across the road from the church. 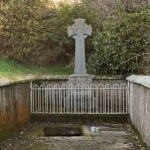 The well, which has been recently restored, has been visited through the centuries. According to local history, “there was more than a newspaper could hold of cures of people who came from county Wexford across the mountains”. 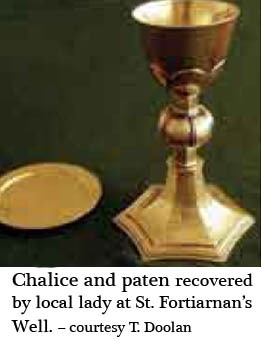 In the nineteenth century a local woman cleaning the well found a chalice and paten. 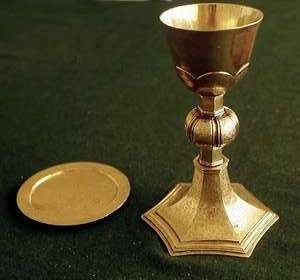 These artefacts date to the late sixteenth century and may have been hidden in the well in penal times by a priest who was celebrating open-air masses nearby.